You could call my house a mini conservatory of aloe vera plants. My mom likes to keep them around the house because of how pretty the plant looks. It took me months to appreciate these succulent plants, over a period of time, I grew fond of them, too. I mean, what’s not to love? The plant not only performs miracles on your hair but on your skin and health as well! In some Southeast Asian cuisines, the juicy flesh of the aloe plant is consumed. Coming back to the point - whether you eat it, drink it or rub the fresh pulp on your face, here are some benefits of aloe vera gel. Before we begin, let’s talk more about what an aloe vera plant actually is? So, ladies, Aloe vera is a succulent plant that grows in warm, tropical climates in parts of Asia, Africa and Europe. Its leaves are pointed and it's a very popular plant found in Indian households. 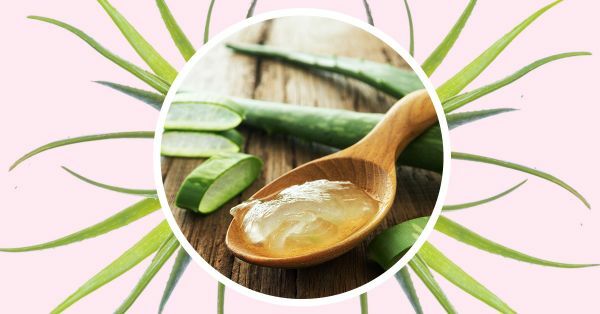 Known for its medicinal and beauty properties, you'll find aloe vera used as an ingredient in skin lotions, scrubs, sheet masks, facial wipes, cleansers, wax strips, sunscreens, under eye gels and many more. If you love all things aloe vera, I bet the fun facts about the plant will interest you too. 1. People who suffer from tummy issues such as constipation usually consume aloe vera juice. It's believed to cleanse, repair, heal and support your digestive system. 2. Agriculture for this plant usually happens at a large-scale level in countries like India, China, Mexico, Bangladesh, Spain, Australia, Cuba and the US. 3. If you dissect an aloe plant, you'll find two things - the latex and the gel. As you know, the gel is the transparent jelly part and the latex is yellow in colour and is usually found under the skin of the leaves. 4. Aloe contains a compound known as saponin and is believed to work wonders when treating bacteria and infections. This is how it works - you spot the wound, you wash the area and later, you rub aloe vera pulp into the wound. Trust me, in a few days, your wound and marks will be healed and gone! 5. Even the tiniest amount of aloe pulp is loaded with enzymes, minerals, amino acids and vitamins. 6. 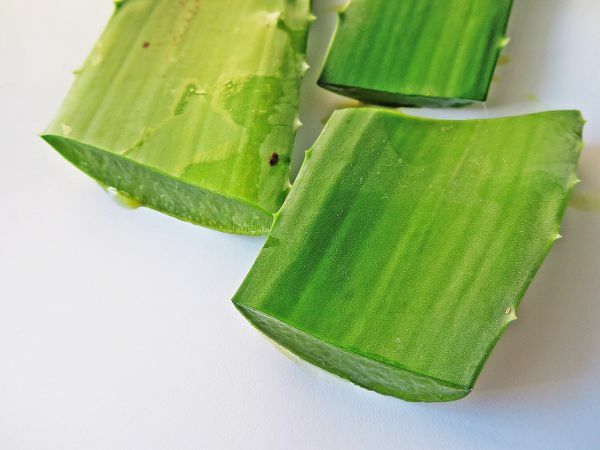 Did you know that you can eat aloe vera? Well, I wouldn't recommend you to eat it immediately after scooping the gel out, but I can tell you that it's considered to be a very important food and beverage ingredient. 7. Egyptian Queen, Cleopatra, loved to include natural ingredients in her skincare routine. She used to bathe in milk and honey to keep her skin moist, supple and hydrated. A lesser known fact is that she used to apply aloe pulp to her face and body on and off to keep her skin youthful and smooth. 8. Aloe is a plant that can live up to a hundred years in the wild. 9. Apart from the beauty benefits, aloe vera is also used to treat health issues like diabetes, asthma, epilepsy and osteoarthritis as well. 10. There are about 240 varieties of the aloe vera plant. However, only four species are known to be used for cosmetic and medicinal purposes. 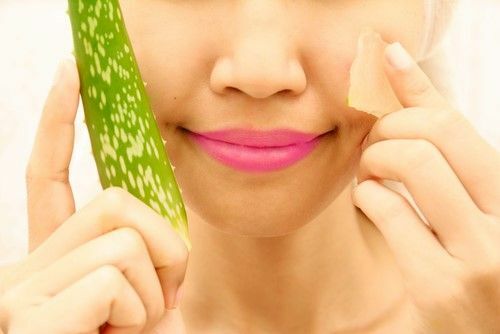 One of the main reasons you should give aloe vera a try is because it reduces acne and lightens blemishes! It’s a great home remedy to brighten your skin, you can make a mask using just aloe vera and lemon drops. With lemon’s lightening properties and aloe’s gibberellins and auxins, acne and blemishes lighten over time. Why use aloe vera on your skin during summer? Simple! Because it’s soothing to the skin and reduces inflammation. It also acts as an epithelial layer—that means it mimics your skin’s top layer, protecting you from sun damage. Not to forget aloe vera is packed with nutritional properties and antioxidants that prevents the moisture from escaping. By delivering several vitamins and minerals to the scalp, aloe vera helps boost hair growth. Using it as a hair mask or shampoo can repair damaged skin cells on the scalp and improve the elasticity of every hair strand. You’ve got to try it to believe it! Dandruff can occur due to multiple reasons. 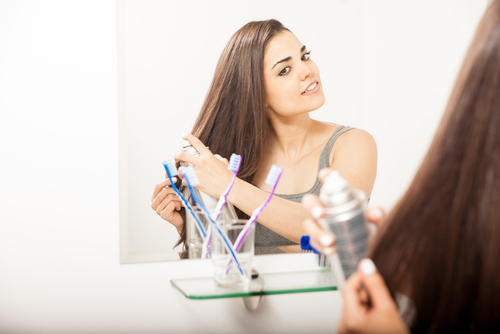 An oily scalp, unwashed strands, accumulation of dead skin cells, sweat or even infection can cause dandruff to occur! However, using aloe juice can solve that hair problem of yours. It will cleanse your scalp and get rid of dead skin cells in a jiffy. Not to forget that it contains antimicrobial and anti-inflammatory properties which help fight any infections on the scalp. Just like an elastic band, skin is known to expand and contract as you get older. Skin stretches when age, pregnancy or rapid weight gain occurs. The time that happens, the elasticity of the skin gets damaged and that's how stretch marks are born. However, if you have aloe vera gel by your side there’s nothing to worry about! Just apply it over your stretch marks twice a day and you’re bound to see positive results in the first month itself. Drink your way to pretty skin by consuming aloe vera juice! Making this a habit every morning can help increase production of collagen. This reverses early signs of ageing. Besides rejuvenating your skin, it detoxes your digestive system as well. While the gel moves through your intestinal tract, it picks up and absorbs all the toxins along the way. Thus, detoxing your body and making it possible for you to have great skin. Did you know that you can use aloe vera as a hair conditioner too? The gel can be used to not only moisturize the strands but also add volume and improve its texture. Since the gel is free from chemicals, it does a fab job at cleansing the scalp, restoring shine and making the locks stronger and shinier. You don’t have to invest in an expensive makeup remover when you can make one at home using aloe vera gel and olive oil. Unlike most makeup removers, this one has no chemicals and will not dry your skin out. On the contrary, it will cleanse your skin and will make it moist, smooth and supple. Aloe vera can be used as a shampoo, anti-frizz spray and a hair gel. To make a hair gel, you’ve got to mix aloe pulp, almond oil and olive oil. 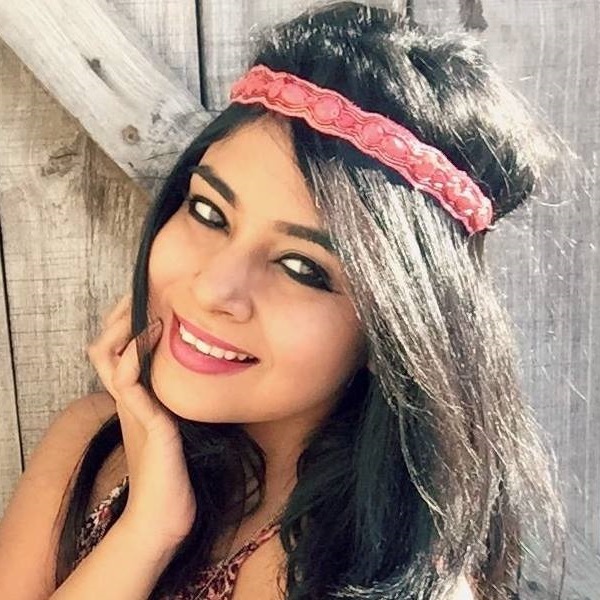 This mix will make your locks look gorgeous! 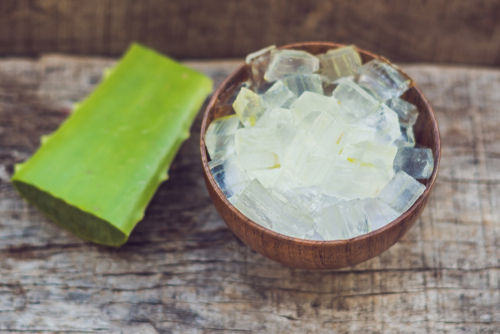 To make a shampoo out of aloe pulp, mix it with dried herbs, jojoba oils, aloe pulp and essential oils. And last but not the least, use aloe gel to make an anti-frizz hairspray! Use it on your mane and it’s bound to stop the frizz and give it shine. If you mix water and green tea with aloe vera juice, you’ve got yourself a fabulous skin toner! How effective is it, you ask? Well, it tightens skin pores, reduces redness, removes toxins and cleanses the skin from oil, dirt and grime. For a woman who has naturally oily skin, this toner is perfect for you. 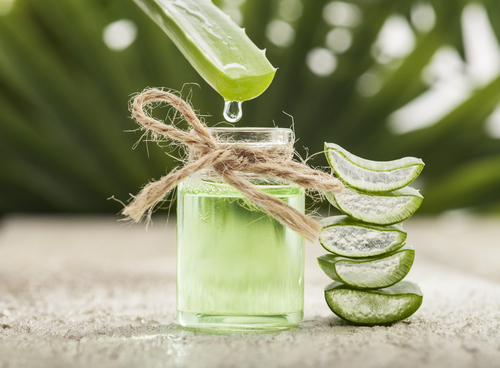 Since aloe vera has antibacterial properties, it can be used for treating acne. It also reduces swelling and keeps the area, nourished, moisturised and hydrated. Step 1: Cut open one aloe vera leaf. Step 2: Scoop the pulp out using a spoon. Step 3: Use your index finger to apply the gel on your acne. Step 4: Leave it to dry on your face overnight. Step 5: Wash your face the next morning. 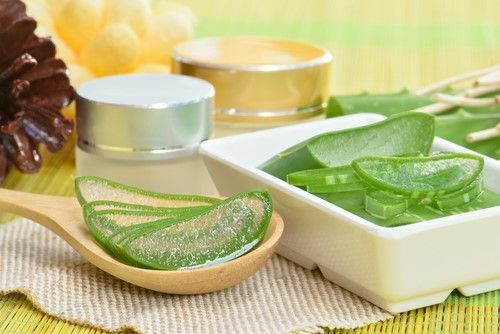 If you have spots and scars on your skin, aloe vera pulp will come in handy for lightening and brightening those areas. Step 1: In a bowl, add 1 teaspoon of aloe vera gel. Step 2: Add 2 drops of vitamin E oil and potato juice. Step 3: Apply the mix over the scar and don't wash the area until the liquid dries up. Step 4: Wash your skin after 10-15 minutes. Insect bites are the worst! They make your skin itch and swell if not treated immediately. Here's what you should do the next time you have to have to deal with insect bites. Step 1: Soak a cotton ball into some aloe gel. Step 2: Apply the cool gel into the affected area. Step 3: Leave it to dry for about 10-15 minutes. Step 4: Wash the area with plain water. 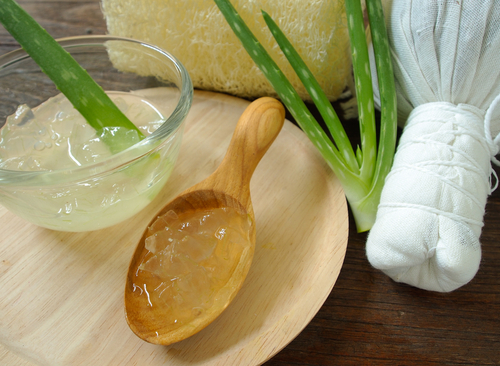 Since aloe vera leaves a cooling sensation on the skin, it can be used to soothe the scalp as well. It's perfect for oily, greasy hair and an infected scalp. Step 1: Take a cube of aloe pulp and massage into scalp. Step 2: Then, massage your hair with unflavoured yogurt. Step 3: Put on a shower cap. Step 4: Remove the cap for 20-30 minutes and wash your hair with cold water. It is believed the aloe vera has the power to make hair go from dull to shiny. It helps to prevent hair loss and brings the bounce back too. Step 1: Add a tablespoon of aloe pulp into warm coconut oil. Step 2: Apply to your scalp and massage in circular motions. Step 3: Leave the mask on for a good 10-15 minutes. Step 4: Wash hair with mild shampoo and lukewarm water after. Since aloe vera contains nutrients and natural fiber, you will never have to deal with indigestion ever again. It helps keep the digestive tract healthy and clear of any burning and indigestion. Here's the recipe. Step 1: Add 2 tablespoons into aloe vera juice into a cup of water. Step 2: Add 1 teaspoon of honey into the mix. Step 3: Blend the ingredients well using a spoon. Step 4: Drink one cup in the morning and one at night. Continue to do this for a week. In case You Want To Make Aloe Vera Juice At Home, Here's The Recipe For It! Step 1: Remove the aloe pulp from a leaf. Step 2: Keep an eye out for any latex remanents. If you spot any, please chuck them in a bin. Step 3: Put the transparent chunks into a blender. Step 4: Add 2 cups of water into the blender as well. Step 5: Blend for about 3-5 minutes. Step 6: Pour the juice into a glass. Step 7: Add lemon juice or orange juice for taste. 1. If you are pregnant or know someone who is, then please ask them to avoid drinking aloe vera juice as it can lead to birth complications. 2. Aloe vera does not agree with every other person. Some people are allergic to the plant and could fall victim to skin rashes, itchiness and swelling. 3. If aloe vera gets consumed in excess, it may lower the levels of potassium and that can decrease the heartbeat speed, cause dehydration and fatigue. 4. Those who have weak stomachs should avoid drinking aloe vera juice at all times because if there are latex particles present, it could cause cramps and stomach pain. Trust me, that is something you won't want to put yourself through. 5. If you are a diabetic, don't consume aloe juice until you've had a word with your doctor. Sometimes, aloe juice can cause the blood sugar levels to drop. Yes, you can! In fact, it reduces dental plague, improves blood circulation and sugar levels and of course, improves digestion as well. If you're eating it raw, then make sure you've peeled the leaf well and mash up the pulp so it becomes easier to chew and eat. Can You Drink Aloe Vera? Believe it or not, you can! If you stick to 8 ounces of aloe juice a day, you should be fine. Is Aloe Juice Good For Kidneys? The pulp is good, not the latex portion. That part could be poisonous and could eventually lead to kidney disease or even worse, death. So stay away from latex! Yes, it is! It contains two hormones - auxins and gibberellins. These two hormones are responsible for producing antioxidants to the skin and healing it from any infection. How Long To Leave Aloe Vera Gel On The Face? Not more than 20 minutes. The moment the gel dries up wash your face with chilled water and pat dry using a towel.